When Ellison Russell is nearly killed at a benefactors' party, she brushes the incident aside as an unhappy accident. But when her house is fire-bombed, she's shot at, and the person sitting next to her at a gala is poisoned, she must face facts. Someone wants her dead. But why? And can Ellison find the killer before he strikes again? 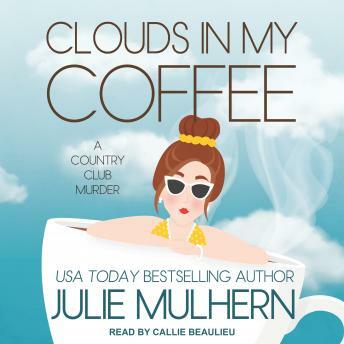 Add in an estranged sister, a visiting aunt with a shocking secret, and a handsome detective staying in her guesthouse, and Ellison might need more than cream in her coffee. Fantastic narrating and a story full of a sparkling sense of humor!